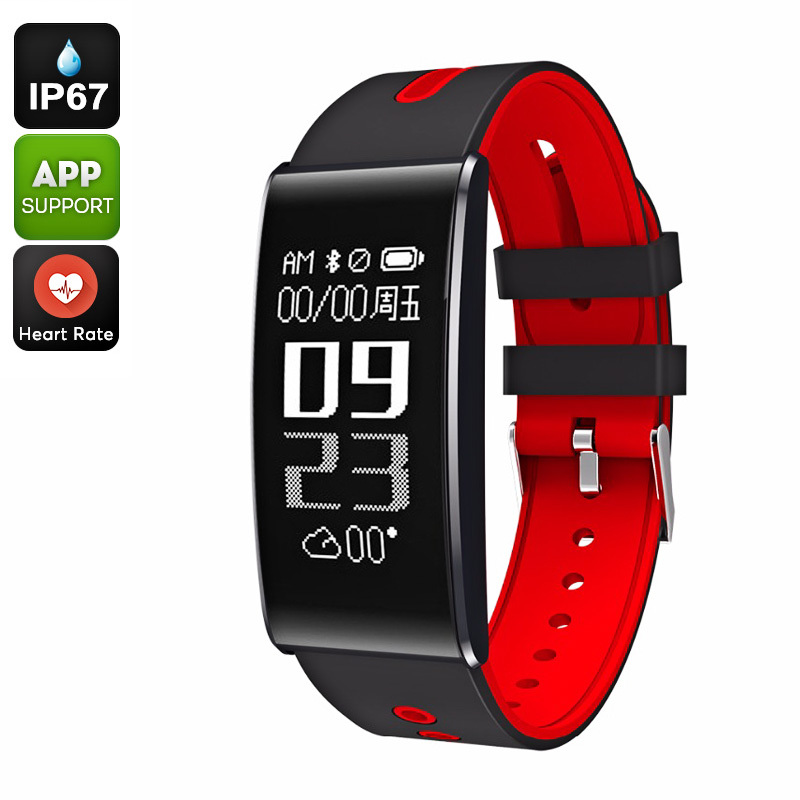 Successfully Added ORDO S13 Fitness Tracker Bracelet - Heart Rate, Calorie Counter, Bluetooth 4.0, Blood Pressure, Pedometer, IP67, App (Red) to your Shopping Cart. The ORDO S13 is your basic fitness tracker bracelet that treats you to a large number of smart health features. This little gizmo is perfect for those of you who wish to increase their activity levels. With its sedentary reminder and sports reminder in place, this Bluetooth watch makes sure you’ll never slack off again. The watch itself comes with an IP67 waterproof body and soft strap. This makes it comfortable to wear at the gym as well as in everyday situations. With its 90mah battery, this fitness tracker will get you through numerous days of continuous usage time without needing to recharge. This smart fitness tracker bracelet is compatible with both iOS and Android phones. It supports Bluetooth 4.0 for fast and lag-free data transmission. With its pedometer, this sports watch allows you to keep track of the total number of steps you take throughout the day. Additionally, it treats you to a calorie counter, heart rate monitor, and blood pressure test. With a sleep monitor, it even makes sure you get enough rest in between your upcoming workout sessions. This will significantly increase your recovery and the efficiency of your future workout routines. Your smart bracelet comes with a small 0.96-Inch touch screen. On this display, it lets you keep real-time track of all health and fitness data. When used with the dedicated mobile application, you’ll be able to analyze your data in more detail. This allows you to keep track of your improvements which will motivate you to work even harder in the future. With its gesture sensing technology, the watch turns on automatically whenever you raise your hand. This brings along great convenience and also saves battery as your display won’t be lit up during the entire day.